At one time or another a particular philosophy in the Canine World was considered by many leading authorities on breeding and training within the working breeds; as an accurate depiction of the ideal dog particularly in Germany, based on the written standards at that time. In fact, some of these philosophies, theories and models have stood their ground for decades. Fortunately, over time ‘trends’ have changed as have our worldview and evolutionary learning. It doesn’t surprise me though, that we human beings in our wisdom will take a perfectly functional piece of equipment or an animal and find the innate need to ‘fiddle’ with it. As it is in all organisms, it is in our nature to try and improve our situation and position in life. ‘Dogs are not immune to the same innate desires, to manipulate aspects of their environments’. Over time a need to change and improve on things will result in elements or characteristics being enhanced, exaggerated or impaired. Often any enhancement starts as intentional but with that also arises, unintentional development and exaggeration. I guess, when we have a distortion of reality, then a misinterpretation becomes a reality……………………………………. I have been observing and working with many dog trainers in particularly protection dog trainers around the World. From these careful observations and in-depth discussions, my view is that the root of any confusion that most dogs experience is that they are unsure of what is expected of them, aren’t able to deal with the unknown and or, are merely genetically unequipped to meet the training demands. This confusion is a result that stems from a trainer’s lack of this awareness and of the inability to understand how dogs learn, what drives them and how to interact with the inherited reflexive mechanism that dogs, and their handlers operate from. The main driver being, that we all attempt to move from is chaos to order. By default, these reflexive mechanisms exhibited by our dogs and us humans tend to be mostly defensive. Most reactions expressed by the dog and humans are predominately due to an innate, inability to deal with aversive stimuli, creating the conflicts experienced in day to day life which sadly leads to submission, or aggression generally fueled by ‘fear’. Specific fear components may never be known but fear seems to be the trigger for many of the behavioural manifestation that people label as ‘powerful’ or ‘dominant’. Behaviours are fluid by virtue and awareness of this fact helps handlers and helpers develop a deeper understanding of the mechanics that trigger them, ultimately improving the way helpers evoke the most appropriate stimulus for the desired outcome. Conflict is inevitable and sometimes with disastrous results therefore a deeper understanding of the neuroscience of emotion is essential to establish psychological flexibility……………………………….. I prefer to describe the term ‘Protection Training’ as ‘drive satisfaction’ ‘drive fulfilment’, training or ‘reinforcing instinctive behaviour to achieve drive fulfilment’. The term ‘protection training’ is a human-generated and culturally loaded term which has negative connotations. This term generates ambiguity in our community and confusion in the minds of many decoys/helpers, in particular – ‘new comers’. Although the term ‘Protection Training’ seems to convey what appears to be transpiring in the public’s eye along with many trainers/decoys/coaches, the truth is, there is much more occurring than meets the eye. Through the strategic use of positive and negative learning and the shaping of naturally occurring instincts, which is nothing like the community perceives. The community believes ‘protection training’ results are achieved through agitating; antagonising and threatening dogs; and why wouldn’t they, after all, these are some of the terms that have been used in many writings in the past. Additionally, from an observer’s point of view, it does appear that way. The time has come to educate society that there is much more occurring than meets the eye and that what they see is not reality, it is merely a lack of understanding…………………. Oppositional defiant disorder (ODD) is a childhood disorder that is defined by a pattern of hostile, disobedient, and defiant behaviours directed at adults or other authority figures. (ODD) is also characterised by children displaying angry and irritable moods, as well as argumentative and vindictive behaviours. Many factors appear to contribute to the condition, and they are believed to be biological, environmental and genetic, yet the exact cause of (ODD) is not known. Some studies suggest that defects in or injuries to specific areas of the brain can lead to serious behavioural problems in children. Let’s examine these possibilities in detail. What makes an individual react with a so-called disorder? Within the companion dog community, it is a commonly held belief that our dogs behave from an inherent need to dominate their human pack, that is, to be alpha as often called. Many people have described pet dogs as control freaks with authority complexes that are looking for our submissive reactions to win the struggle for dominance. It is the relentless repetition of this idea, not research, which has given its status as the most proffered explanation for our dog’s non-compliant behaviours. Two main factors tend to influence human behaviour. I am passionate about working dogs and the training of such. 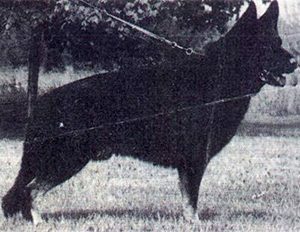 A significant part of my life has been spent searching for German Shepherds and Dobermanns, which produce quality working traits as described by many working dog enthusiasts throughout history. Today I adopt a different view because things are not black and white. Some of the working characteristics that I will describe in this book have never really been discussed in depth. For instance, the simple ‘prey’ and ‘defence model’ adopted over the last 30 to 40 years requires far more profound analysis. Anyone who has traveled this endless journey will agree that it is exciting, yet an emotionally and financially daunting task. In my search, I have worked with every type of dog imaginable and have concluded that the traits discussed herein are not isolated to my breeds of choice the Dobermann and German shepherd. There are Rottweilers, Belgium Malinois, Red Heelers (Australian cattle dog), Dutch shepherds and many other breeds that possess the same quality traits, and as such, I acknowledge that these traits are not unique to specific breeds. Therefore, I believe that other breeders must also identify with the inherent quality characteristics discussed throughout this book…………………………….. There are a few assumptions that we need to acknowledge regarding ‘social circles’, which disrupt ‘breeding and training progress in dogs. a) Information is evenly distributed among the canine community. c) The grass is greener on the other side of the fence. d) Every other breeder and trainer is wrong, and I am right. e) Every other breeder and trainer is right, and I am wrong. a) People act on incomplete information. b) There are gaps between perception and reality which don’t only last days and weeks but can last for decades. c) Common sense is an unreliable reference claim. d) People have different views of ‘common sense’. e) Common sense is not explicitly stated or documented. I believe that our dog training results can provide us with a mirror to see ourselves as we are, to see what we truly know and what we don’t know, to see ourselves honestly, directly, and immediately. “Metacognition refers to the awareness of our knowledge—what we do and don’t know—and our ability to understand, control, and manipulate our cognitive processes” (Meichenbaum,1985). It includes knowing when and where to use strategies for learning and problem solving as well as how and why to use specific strategies. 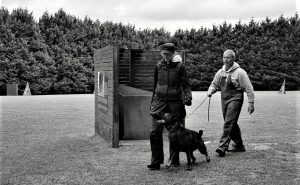 I have been asked by many, for years to write on this subject of protection dog training – ‘drive fulfilment training’, but there are multiple matters that I feel are a prerequisite before we enter the breeding and training world. I believe that before you embark on this mission you may need to question your motivation for being interested in this activity. Your motivation can be the driver for the selection in the dog you choose and the type of training you subject your dog too, ultimately creating the results, you achieve. Your motivation will skew your breeding and training direction into ways you never thought possible, positively and negatively. I have always been fascinated by behaviour, why dogs do what they do and why humans do what they do. Hence my mission is not only the training of dogs but equally the training of people. There was a time when training difficult dogs or dogs that had no or little inclination to work was amongst my speciality, but why? Because I believed I could make a difference and that inevitably there was always a way to train every dog. Most dog trainers have encountered countless dogs that have certain inclinations (predispositions) for a given task which have then put through an elaborate emotional stimulation, and developmental program only to fall short. These dogs may not be deemed worthy of what is often referred to as a “quality working dog”. One may speculate that quality working genetics in this situation was potentially the missing ingredient. Then there are the dogs that are equipped with little potential, clearly establishing why appropriate selection is so important when breeding and training. Selecting dogs that thrive on ‘achieving drive fulfilment’ or that operate within the ‘Genetic – optimum functional zone’ enables handlers and trainers to focus their dogs towards their desired application far more comfortably than forcing dogs with poor instincts to do what they can’t go. Finally, there are the dogs that have all the essential behaviours for a ‘quality working dog’ perspective only to show behavioural distortions during their training and development phase. Such quality dogs rarely meet their full genetic potential for one main reason, inappropriate environmental pressures (conflicting learning) which is a disregard of the reflexive nature of dogs by trainers, pushing them too hard too fast. This book focuses on the principles that allow quality working dogs to come into existence through thoughtful planning, selection, breeding and training, enabling handlers and trainers to utilise the optimum genetic potential from each ‘Quality Dog’……………….. In my opinion conventional breeding, training philosophies and models of working dog behaviour generally convey ambiguity and are filled with contradiction. There are hypotheses, which claim that protection dog behaviour accurately reflects the dog’s mindset. The general perception of many newcomer decoys and the community is that if the dog shows a desire to move forward, then he must be driven by aggressive inclinations. In fact, the behaviour expressed during traditional protection training (drive fulfillment training) is driven by a spectrum of triggers which determines the behavioural expression and hence the interpretation by the observer. The fact is that the interpretation of the dog’s behaviour observed during these events is clouded by personal perception, and this foggy interpretation of behaviour provides for incorrect analysis and then incorrect training. To all decoy’s; I ask the following question:……………………. Let’s reflect for a moment on the dogs of the past and the current belief that they were better than the dogs of today. Being a breeder that always wishes to use the very best genes available this belief has plagued me for years. I have sourced dogs from many locations around the world, and I have realised that quality dogs are found where ever they ‘land’ and that dogs in the ‘old days’ were, in fact, different to the dogs of today. How they differ requires clarification. I have asked this ‘old’ vs ‘modern’ quality question to countless breeders around the world. Many have stated that the past dogs were better than the current dogs. I have reminded them of whether this was a symptom of unreliable memories, and an overly romantic view we humans seems to have of the past. Positive feedback is self-reinforcing and negative feedback is self-correcting. Thus, negative feedback sets up a tendency towards passive equilibrium or can tip the dog into submission. The dog’s reaction to and interpretation of negative feedback is also dependent on the thresholds of the animal in question. On the flip-side, ‘measured’ or correct ‘dosage’ levels of negative feedback followed immediately by positive feedback (reinforcement) sets up a proactive emotional feedback system turning negative feedback into a positive reinforcer, producing ‘dynamic equilibrium’. ‘Dynamic and emotionally fulfilling behaviour’. The dog feels empowered because it can turn off an unpleasant feeling that is ‘resolve the conflict’ and the solution has been pre-conditioned as a positive reinforcer. To illustrate this, we need to appreciate that dogs are born with an inability to deal with aversive stimuli. (Interactive conflicts in all dogs equals stress). In fact, when you think about it, all living systems are innately geared the same way, to retreat from negative stimuli because it represents a potential danger. 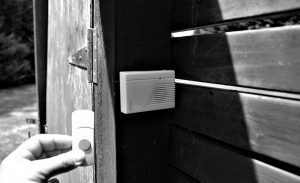 So, the question must be asked;……………..
An experiment that was performed has helped our understanding of ‘behaviour modification’ – classical conditioning. In this experiment which was orientated around ‘force’, they concluded that it was mistakenly believed that specific events were ‘inherently’ and ‘immutably’ punishing. The researchers deduced that they could transform pain into a positive reinforcer. Events presumed to be punishing supported rather than eliminate the behaviours that produced them. The result of such transformation was an animal who sought punishment, as bizarre as this sounds. As demonstrated in the laboratory all they had to do is make ‘electronic stimulation’ a necessary precondition for eating. For example, they wanted to get a rat to stop pressing a lever by giving it a brief mild electronic stimulus. The lever is the same used in all skinners experiments in operant conditioning. The rat pushed a lever and received a mild electronic stimulus, (slightly unpleasant feeling) food arrived via a hole in the wall, and the rat ate the food. In the beginning, the electrical stimulus kept the rat from pressing the lever, but as it got hungrier, it returned to the lever and went back to work despite the electronic stimulus. They increased the electronic stimulus intensity gradually in small steps, and the rat continued to press the lever even though eventually the electrical stimulus became strong enough to throw the rat off its feet. 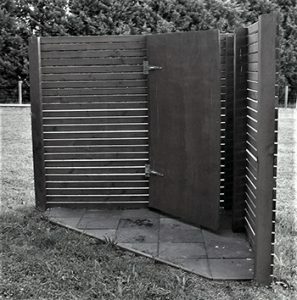 Although ‘Optimum Function Zones’ exit for each dog a trainer/decoy is required to have the skill to correctly apply specific and precisely measured stimuli to orientate the dog to the optimum zone, and then apply and maintain the correct level of stimulus to keep the dog in the functional zone. The ‘Genetic Optimum Function Zone’ differs as its functionality is predominately predetermined by the dog and requires minimal manipulation from the decoy. The dogs ‘behaviour’ before the grip must be emotionally rewarding/fulfilling. The dog should be actively pulling against the collar or a harness is preferred making every effort to want to engage the decoy as much as the reward item, the sleeve. This behaviour is challenging to achieve when no actual tangible reward can be offered when the sleeve is on the ground. One excellent way to reward powerful behaviour towards the decoy is to……….. Dogs with a high drive for prey can’t help themselves and come forward due to the genetic compulsion to chase and then find it fulfilling when they fill their mouth, yet they can still be uncertain about the decoy, (the human ‘signal’ that is attached to the reward). Their perception of the Human Signal will determine their response. The reality about these types of dogs is that they are uncertain about……………………………. You may notice that you perform better when you are just a little nervous. For example, you might do better at a competition/event if you are excited about participating or do well on an exam if you are somewhat anxious about your score. In psychology, this relationship between arousal levels and performance is identified as the Yerkes-Dodson Law. What impact can this have on behaviour and performance? The Yerkes-Dodson Law suggests that there is a relationship between performance and arousal. Increased arousal can help improve performance, but only up to a certain point. Without question, dogs are born with an inability to deal with aversive stimuli. Any prospective working dog enthusiast attempting to make the best possible choice when selecting a puppy will encounter multiple issues in deciding which traits are quintessential for a quality working dog. However, there is one primary emotion which alters behaviour and stands out amongst all others. That is fear, and it is one of the most limiting feelings a dog or human could have. Although it is a natural and life-preserving response, fear in dogs is exhibited in degrees and is either a genetic inclination and or learnt. There are natural fearful responses to strange events. When choosing puppies, the wisest choice would be to select the puppy with the least amount of adverse reactions making sure to avoid puppies that exhibit unnatural fears. We should ask ourselves the question; why some puppies show sensitive responses while the siblings don’t. 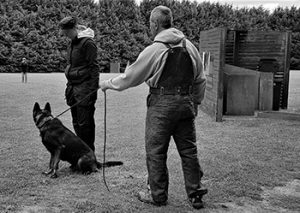 Many involved in the Protection dog training world have heard the terms “Active Aggression”, “Fight Drive” or “Combative Drive”. 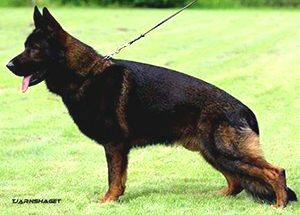 Dr Helmut Raiser in his book “Der Schutzhund” many years ago said that fight drive or combative instinct would suggest that the dog intentionally seeks combat. Dr Raiser believed that these drives didn’t exist and continuous with his belief four decades later. From all my experience and discussions with many practitioners and academia, it is collectively agreed that it does not seem to be in a dog’s cognitive capability to possess this type of intent or mode of conduct. Especially towards a human being even though we may have experienced dogs that appear to operate in this realm. Historically we have used the ‘Wolf’ as our model for domesticated canine behaviour, and consequently, we have identified and named behaviours based on that model. Naturally, we have then selected dogs based on these fight or flight responses (Prey and Defence behaviours) and consequently continue to discuss and reproduce them. Strange how genetics work, or is it? 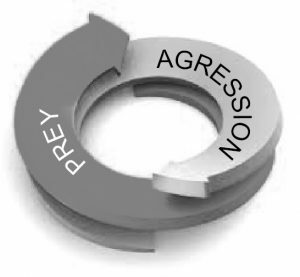 The traditional prey and defence model we have adopted for decades have served us well but only functions within the prey and defence realm and for many reasons………………………………………. A balanced response comes from a double-loop learning concept that is demonstrated by dogs with intense prey instinct and assertive-secure aggression. When both prey and assertive aggressive behaviour operate within the ‘Genetic – Optimum Function Zone’ they paradoxically have an almost equally rewarding value and function. Considering that prey behaviour is positive, and a pleasant state and defensive aggression is a negative and an unpleasant state then one must question why an animal would intentionally subject themselves to an uncomfortable state? One of the complications that dogs face and that we must not dismiss is the fact that dogs……………………………….. Conflicts are impossible to eliminate. They occur naturally throughout life and especially during structured learning, but as we understand stress better, conflict and the elimination of stress is becoming a science in itself. As dog trainers, we are now able to assist our beloved companions, and their handlers deal with stress by establishing the solution from the very beginning. One example is the dogs that seem to forget to breathe through their nose during the grip phase. It is a constraint imposed by the handlers lead and collar restriction and the additional tension administered by the decoy by pulling on the sleeve. The excessive tension between the two opposing forces create survival conflict in a dog, therefore, essentially disrupting their grip and the association to the reward (sleeve). The aim of a quality grip is that the dog fills his mouth with a deep mouth and shows commitment with all his might in maintaining constant engagement despite any physical or mental tension and additionally the dog needs to maintain constant engagement when there is no tension or prey stimulus however, committing to this target behaviour (full, deep and hard grip) is problematic with many dogs…………………………………. 25 Years ago, a friend made a behavioural claim that was to shock me and was considered Scientific heresy. His claim was impossible, according to my genetic worldview – after all, genetics are fixed! It turns out he was correct. 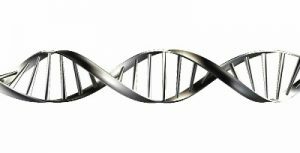 Discoveries in epigenetics are rewriting the rules of disease, heredity, and identity. With no more than a change in diet, laboratory agouti mice were prompted to give birth to young that differed distinctly in appearance and disease susceptibility. In 1999, biologist Emma Whitelaw………………………………. Canine aggression has been debated for years and, yet it insists on being one of the most misunderstood topics, interpreted either as a strength or weakness. Science has revealed that it is an essential instinct and part of day to day life that supports the preservation of life. The problem we face is that there is a perception that aggression and defence are wrong, and that aggressive behaviour should not exist in the domesticated dog. What should be made clear is that aggression and defence are fundamental in a healthy animal (human included) It can be caused or triggered by many reasons and circumstances. We won’t discuss in detail as to all the root reasons for this instinct. However, it must be stipulated that some arrangement of fear fundamentally drives it. Aggression driven by deep fear and insecurity is entirely undesirable in the dog breeding and training world, and it must be understood how to provide the appropriate remedy………..
Microbiological research indicates that dopamine activity strongly modulates reward, motivation, and mood. Dopamine neurons show an increased firing rate when rewards occur unexpectedly or when such events exceed a dog’s expectations. In contrast, dopamine neuron activity remains unchanged when an anticipated event matches a dog’s expectations; when an expected event is less than expected or omitted, the firing rate for dopamine is decreased (Schultz, 1998; Schultz and Dickinson, 2000). Complex interactions between genetic and experience influence how dogs cope with adversity (loss of control). The way a dog responds to novelty and unexpected events appears to exert a profound stabilising or destabilising influence on its temperament and coping style. There are four general ways in which the dog responds to novelty and strangeness which affect serotonin levels……………………….. Many times, rewards are taken for granted, and the assumption is that the reward we offer is a reward solely because the trainer – decoy say it is with little consideration for what the dog feels and exhibits in its behaviour. A reward is only as good as its value to the dog. Too often our perception of a reward is in fact not rewarding. The value a dog holds in the reward is something that is built by desire, propagated by pleasant association and the motivation it creates due to necessity like hunger or genetic compulsion – to chase and engage anything that moves. Take food, for example; we ask our dog to sit still, place the food bowl on the ground so that the dog can eat it. The motivation to eat will depend mainly on the dog state of hunger or how much of a pleasant taste it provides, so palatability is essential for motivation alongside hunger. At the core of that mouth full of food and when the unpleasant feeling of hunger decreases, a pleasant feeling is established like a human would say ‘yum’. At the very core of that ‘yum’ the earliest brain processing in a rewarding experience is the release of the chemical called…………………………. In ne uroscience, the reward system is a collection of brain structures and neural pathways that are responsible for reward-related cognition, including associated learning (primarily classical conditioning and operant reinforcement), incentive salience (i.e., motivation and “wanting”, desire, or craving for a reward), and positive emotions, particularly emotions that involve pleasure (i.e., hedonic “liking”). Terms that are commonly used to describe behaviour related to the “wanting” or desire component of reward include appetitive behaviour, preparatory behaviour, instrumental behaviour, anticipatory behaviour, and seeking. Terms that are commonly used to describe behaviour related to the “liking” or pleasure component of reward include consummatory behaviour and taking behaviour. The three primary functions of rewards are their capacity to……………………………. An alternative to simple yes/no communication is to create a third signal that says, “I’m not going to reinforce that” but please try again. That is where the signal ‘Wrong’, ‘Sorry’ or ‘Ding-Dong’ can work. Initially it is a meaningless signal, however, when you link the signal/s to no reward, it will quickly serve as a negative punishing – signal. Anyone who has watched TV game shows will recognise that all too familiar signal that signifies an incorrect answer ‘ding-dong’. 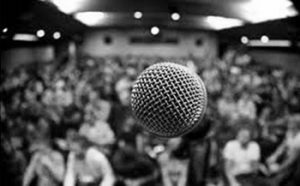 If a conditioned reinforcer ‘a ‘clicker’ can provide a signal for a positive event so too can the ‘Ding Dong’ sound provide a signal as a negative event………………. Too often dogs are rewarded while in a hectic or hysterical mindset. Powerful and focused behaviour is an admirable trait however hectic and hysterical behaviour is typically unfocused and is not the type of behaviour recommend if you want dogs that are full of purposefully targeted responses. Focused driven and targeted behaviour is managed with ease and ultimately eliminates tremendous frustration manifesting from both the handler and the dog. As with all reference to behaviour in this book I refer to desired behaviours as target behaviours either taught or inherited. By inherited, I am relating to ‘intense genetic – compulsive’ (responses) to stimuli. When testing a working dog prospect, you can only assess what you have in front of you at that very moment and, so it is difficult to establish with accuracy what will occur in the future given further training (conditioning) or environmental pressures. Firstly, I assume that when assessing any dog, the assessor has the relevant experience in working dog behaviour and through this experience the assessor can determine that the said dog does have the potential for the chosen application. However, every experienced assessor will agree that even appropriate testing does not guarantee that you will achieve the expected results in its final application. Every animal has inherited genetic tendencies and behaviours to assist with its survival. The two primary instincts that motivate animals are ‘prey’ which supports them in acquiring food and ‘aggression’ which supports them in preserving life. Traditionally we have followed our predecessors with a view that these behaviours are correct to all dogs. In a clinical sense, they are as in the wolf. However, we are not dealing with wolves but with domesticated dogs so that they serve our needs with the added advantage of companionship. The process of domestication has overtime pushed back the need to preserve life and the fear of humans creating the ‘domesticated dog’ and within the ‘domesticated dog’ lays an extraordinary kind of dog. A dog that over time has been selected to be confident and bald towards humans, uninhibited with life, happy, courageous, driven to chase and most importantly use its play and prey drive to find fulfillment in the activity that brings it a feeling of pleasure and satisfaction that can be linked with its carer. Something you will never see in a wolf. There are fundamental behaviour components that must be in place to promote assertiveness. Assertiveness is a combination of genetics, experience and maturity. Experience and maturity are synergistic and require many of the components below be addressed to encourage assertiveness. Slow Development; Development should be slow and methodical so that drive development is proportional and measured according to what the dog can sustain. Some dogs don’t fit the conventional Worldview. These are dogs that enjoy and seem to thrive on measured conflict because they operate within the ‘Genetic – Optimum Function Zone’. Life has impacted on these dogs in a way that has ignited their realisation of their gifted internal strength and powerful nature they possess. With these dogs’ excessive defensive impulses that are not administered in proportional doses can create rage. Dogs cannot internalise and learn that they need to control these volatile yet drive fulfilling behaviours mainly because of the demands and constraints society imposes. The trainer and decoy must be aware of the genetic potential and coach the dog within its genetic tolerance limits. The aggressively motivated dog is one that finds drive satisfaction by using its strong, aggressive instincts to counter and then enjoy interactive conflicts – (conflicting or threatening stimuli). These dogs are difficult to deal with at the best of times and can become a liability. Just like the excessively prey driven dogs; the dog motivated primarily by aggression are an extreme swing from the balance genetics that function within a ‘Genetic -Optimum Function Zone. They range from the most extreme representation of negative and positive aggression. In the aggressively motivated animal, some dogs can be motivated by aggression closer towards fear or be excited by aggression that operates within the ‘Genetic – Optimum Function Zone’. The “Genetic-Optimum Function’ dogs are motivated differently. They are neither defensively motivated, nor prey motivated. They can mentally function with clarity, sustaining a dynamic state of equilibrium because they seem to thrive and grow from positive and negative feedback, paradoxically creating a feedback loop that is self-rewarding and fulfilling. The graph below requires that you have ………………………….. In such cases as a borderline personality disorder, hypersensitivity to emotional stimuli causes a slower return to a healthy emotional state. I have always felt that canine temperament is one of the most challenging discussions to undertake due to the enormous complexity and variability in canine behaviour. One of the main issues faced by every trainer and decoy is that a dog’s behaviour is fluid by nature as is ours and has a propensity for extreme volatility, particularly with dogs that don’t have solid, stable genetics or are emotionally hypersensitive to modern man’s World. Dogs are reflexive by nature, and the reactivity of a dog’s behaviour is not only determined by its genetic disposition but is directly proportional to each dog’s individual emotional state and a decoys ability in establishing what the dog requires to bring and keep it in behavioural homeostasis or emotional safety. This emotional safety is directly proportional to how………………………………..
Fear-based aggression and the learning of begins very early in the dog’s life and continues right throughout its lifespan. Most cases of inappropriate or insecure aggression are caused by the aggressive displays frequently being rewarded by the reduction of negative emotions the dog was experiencing before an aggressive response. Such negative emotions engage the dog’s innate defence potential, and the reaction occurs and re-occurs. The severity of the dog’s response is again a combination of the dogs innate/ genetic potential and the amount of success it has had previously in reducing its negative emotional load by using aggressive responses. It is put forward that a dog has…………………………………. An analogy at this point as to how I visualise puppies may be necessary. Puppies are like a pre-formed, wet concrete slab. The edges are its form which is its structure, the wet cement is the puppy itself, and the concretes MPa, a term used in construction, as the standard unit for compressive strength, is its genetic threshold to stress. Wet cement a (puppy) is susceptible to environmental stress before it hardens. Imagine penetrating the wet cement with your finger before it had time to harden, it would unquestionably leave an indentation which will remain permanently. A puppy arrives into this world genetically patterned for specific behavioural responses and, just as inevitably as genetics determines coat, pigmentation and structure, DNA also ultimately defines behavioural responses and therefore social reactions. These behaviour patterns called instincts and the reactions to stimuli both positive and negative are determined by its genetics primarily, made up of the puppy’s ancestors. Although the Instinctive behaviour is genetically inherited at birth, the exciting thing is that it will be continuously modified by environmental experience both positive and negative…………………………………. 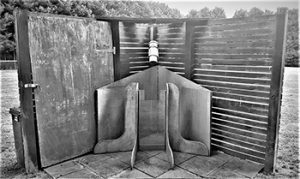 “Imagine directing your dog to engage a decoy with its combined genetic and conditioned ability, resembling a missile shot out of a cannon. The dog leaps in the air to slam into and devour the protection sleeve/bite suit – it’s (reward). It bites hard and full, in fact, it’s brutal. The grip never shifts, and the decoy finds it difficult to escape because the dog pulls with all its ability. You then command your dog to release, and it does with a deliberate instrumental response even if the decoy maintains stimulation. The dog offers no resistance and thrusts itself into a preconditioned active, assertive and secure aggressive response giving the impression of absolute control of all its instincts and emotions, eagerly waiting for the decoy to move (provide a signal), so the dog can re-engage and recommence the ‘positive interactive feedback loop’. The fundamental principle to remember is that for the dog to comprehend the ‘release’ during interaction with a decoy……………………………. The dog’s grip must be full, deep and hard as this behaviour underpins its behavioural – mindset. It must maintain this grip during and after the decoy has released the sleeve, so that true drive fulfilment is experienced by the dog. In the case of law Enforcement dogs, decoys must not force the dogs to release the sleeve but should wait for a normal release. 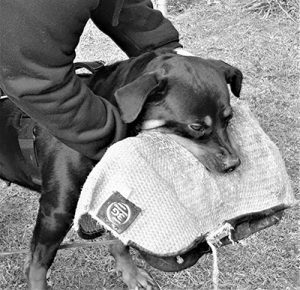 The reason for this is because we want the dog to give up the sleeve when it is emotionally ready to reengage the decoy who must once again be rewarding, and the dog determines when it is emotionally prepared. This is a slow process, but the result is impressive, the dog wants to let go, and when this happens…………………………………. The first exercise we can teach a puppy is to substitute an item he has the procession of for food. Initially, we need to build value in the item we want the puppy to hold such as a small ball upon a signal to take the ball, I use ‘go’. We can create this connection in a controlled and quiet environment. Once the puppy has developed enjoyment, the value in chasing and carrying the ball we can encourage the puppy to come to us where we present our hand with its regular food as a reward. Once this becomes relatively conditioned the ‘verbal’ out signal can then be paired with the dogs releasing action. The visual ‘out’ signal ‘my hand presented with food’ is used to create a “deliberate response” which is to ‘let go of the ball’. Once this occurs…………………..